The IDU™ (Induct Disinfection Unit) is used to eliminate odors, bacteria, virus, VOCs, off gassing and mold contamination. The IDU™ (Induct Disinfection Unit) is used to eliminate odors, bacteria, virus, VOCs, off gassing and mold contamination throughout a building. Multiple units can be added to an HVAC system to provide continuous and cost effective disinfecting. It is ideal for medical, clinical, institutional, veterinary, hospitality or residential use. 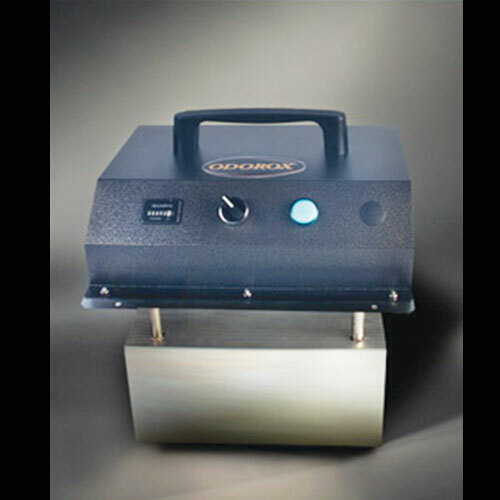 It is equipped with a selector switch for 1 or 2 hydroxyl generating optics. The unit is designed for continuous operation. It is excellent for the chemically sensitive or medically compromised individual.